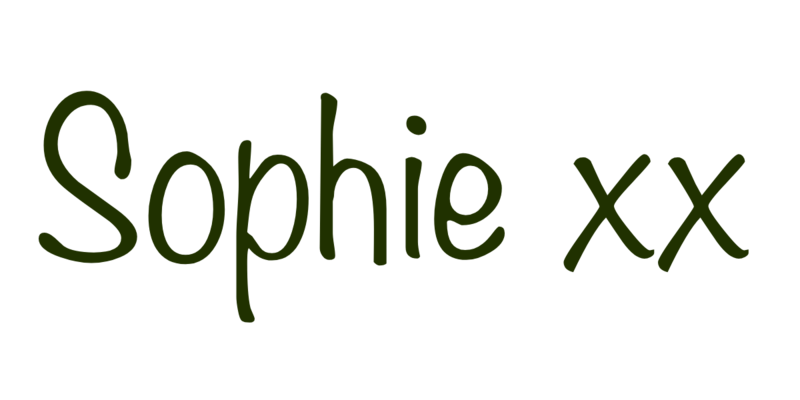 It's been forever since I last posted a recipe and since seeing all of the delicious food that my blogging friend, Sophia, has been making, it got me in the mood to bake. This was meant to be up sooner but I took a surprise visit to A&E. 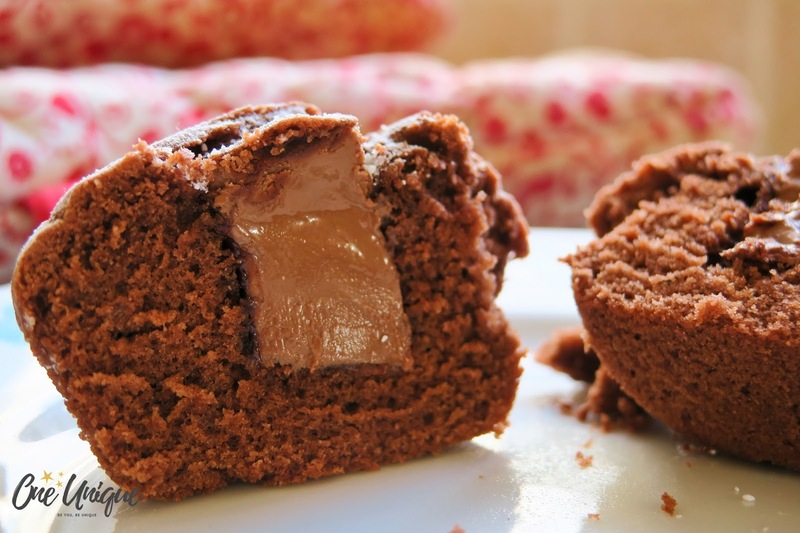 I'm a big lover of chocolate and more importantly, melt in the middle chocolate puddings. So I thought that making some melt in the middle chocolate cakes would be a good idea. This is a super easy recipe, although I found it to be quite messy too. If you have kids, I think this would be quite fun to make. 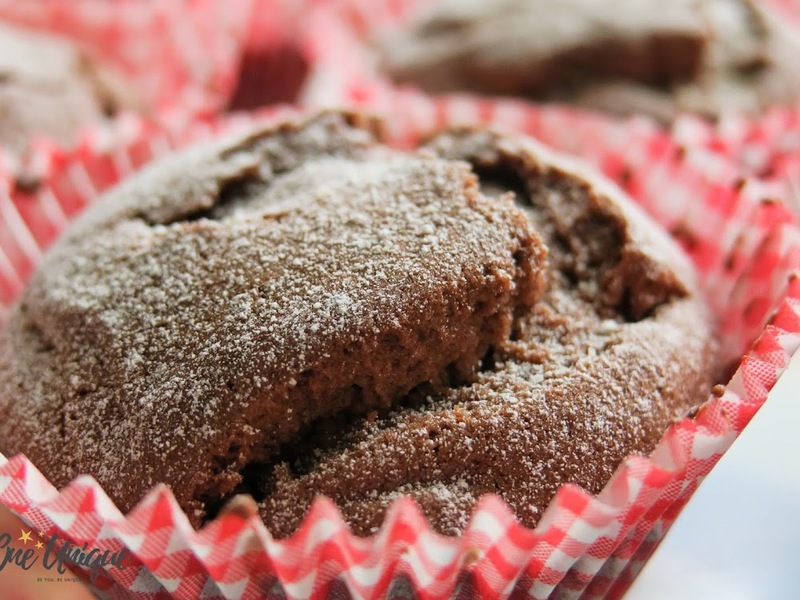 I'm going to get on with it now so find out how to make these scrummy cakes below! 1. Preheat oven to 190 degrees Celsius / 375 degrees Fahrenheit / Gas Mark 5. 2. 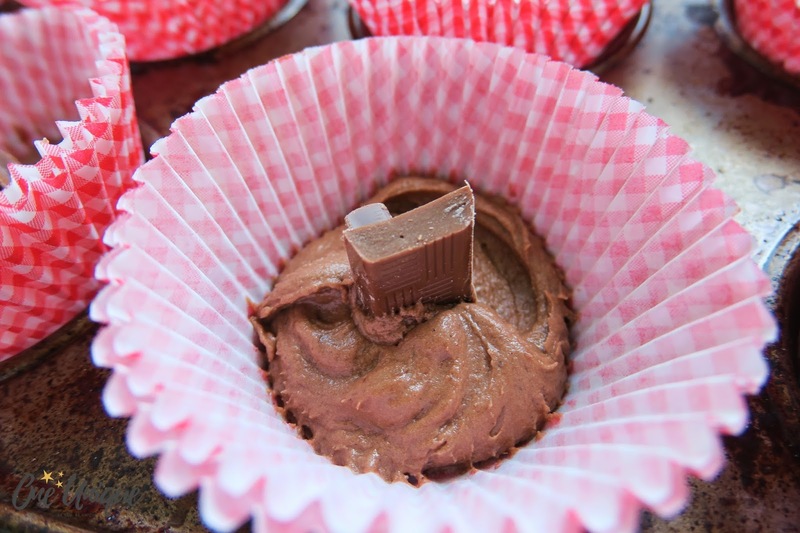 Fill a cupcake tin with cupcake/muffin cases. 4. 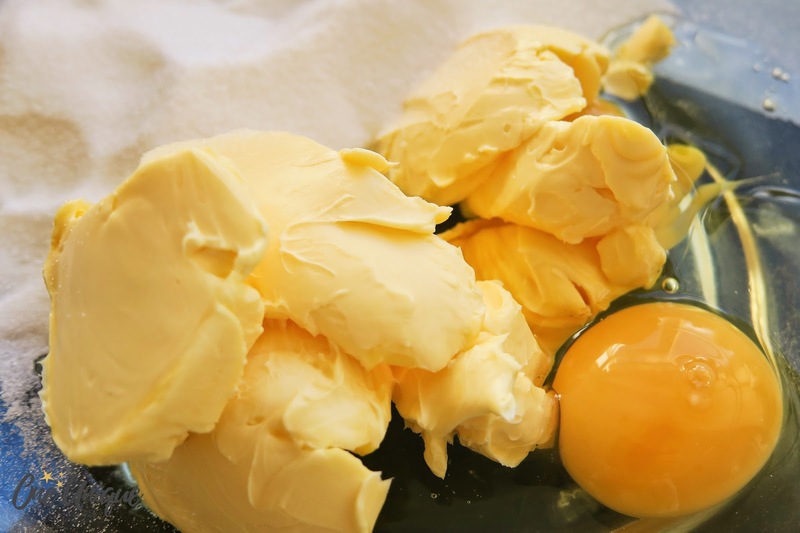 Add the eggs, sugar and butter into a bowl and mix until smooth. You would benefit from using an electric whisk. 5. 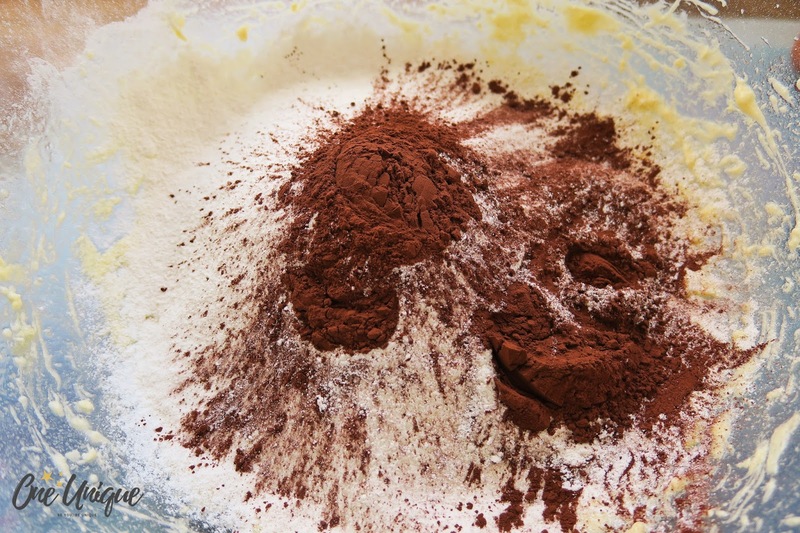 Add the flour and cocoa powder. Fold this into the mixture. 6. Put half of the mix into the cupcake cases. Make sure to spread it around the case so it touches the sides. 7. 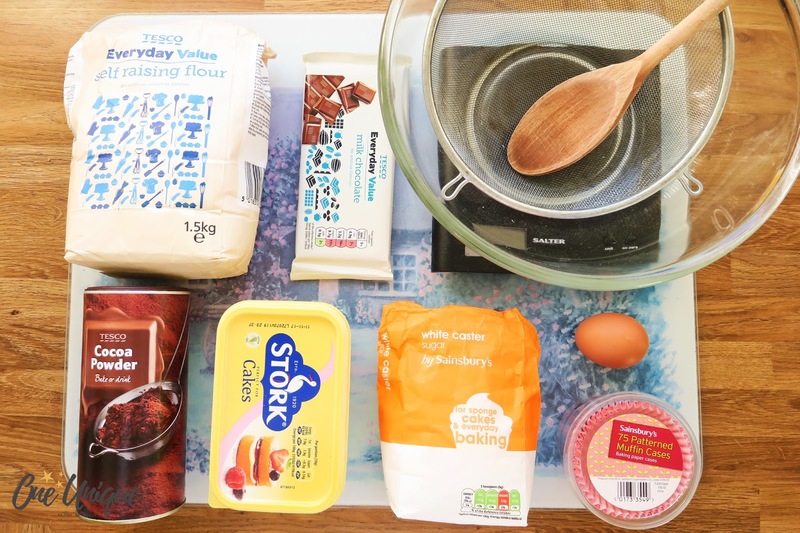 In the centre of the mix that is in the cases, add chocolate. 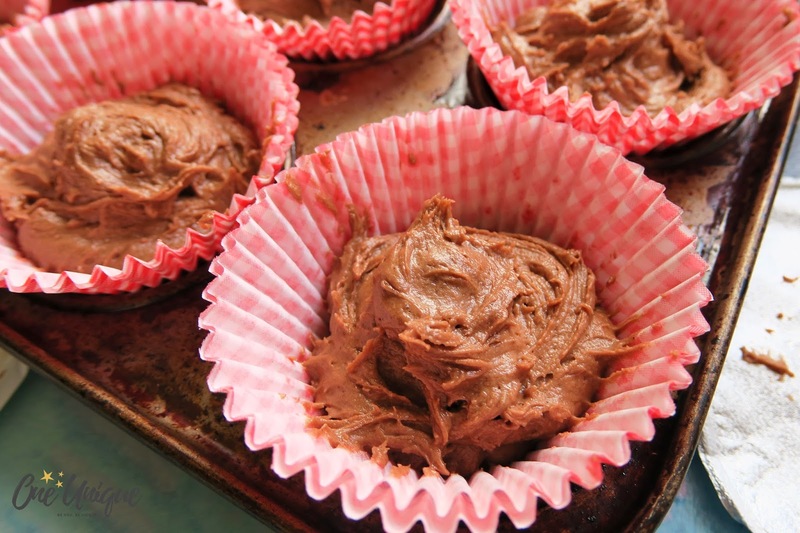 It's recommended to use about 4 or 5 chocolate chips. A square of chocolate might have some troubles melting. 8. Around the chocolate, put some more mixture. Ensure that this surrounds the chocolate. 9. With the remaining mixture, cover the chocolate on the top. Make sure that you can't see any of the chocolate. 10. Place to try in the oven and leave to bake for 20 minutes. 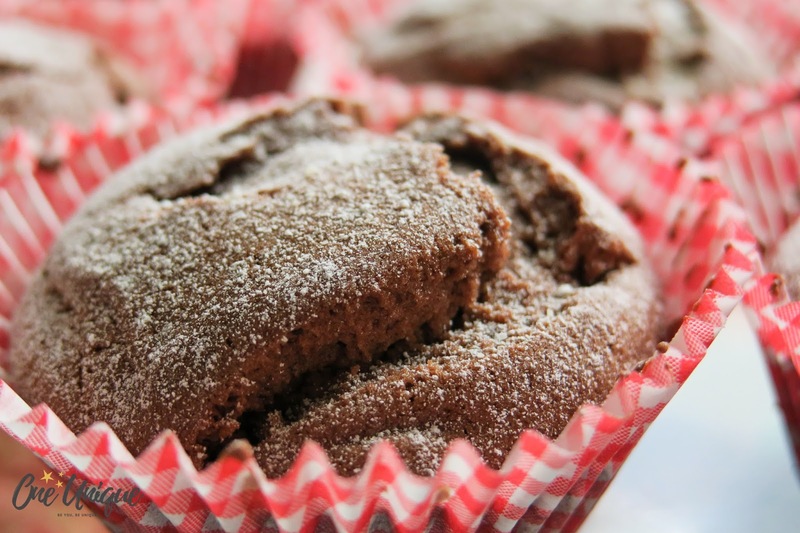 TIP: If you don't think that the cakes are cooked after the 20 minutes, put some tin foil over the top of them, whilst they're still in the over, so that they don't burn. 12. Take out of the oven and leave to cool for 5-10 minutes. 13. Dust some icing on the top of the cakes. So I do recommend that you use chocolate chips because if you see the picture above, the slab of chocolate had some difficulties melting! These are super nice cakes though, I like them with a little bit of cream. Let me know if you've tried a recipe like this! 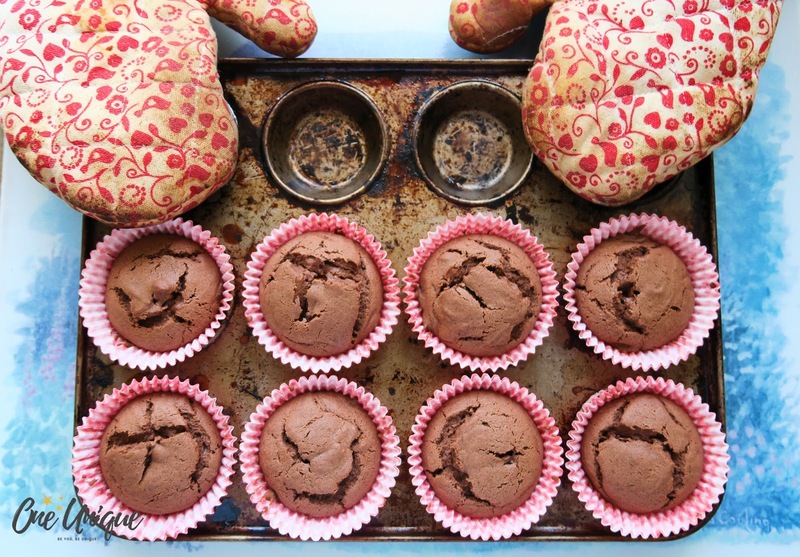 What's your favourite thing to bake? 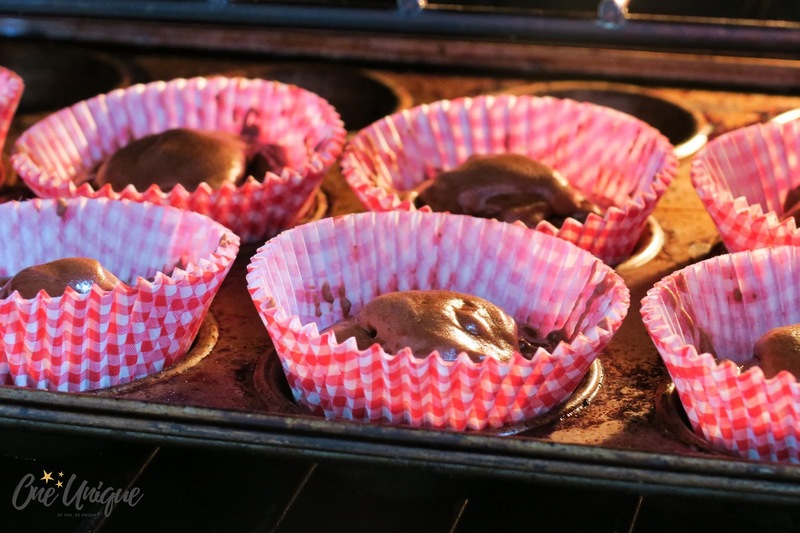 My favorite thing to bake is actually cupcakes, and that's why I opened this blog post too! :) Definitely trying out this recipe too. I have been hiding little surprises in the cupcakes, like marshmallows, but for some reason I have never used chocolate! So, trying that next. Aww! That's great, baking is so fun! OMG marshmallows would be so yummy! How many does it make, 6?